This is what I wore for a night out, this kimono is a couple of years old now but I still love it because the colours are so pretty! Finally had a haircut (as you can probably tell by my hair being blow dried so much better) so no more split ends yey! 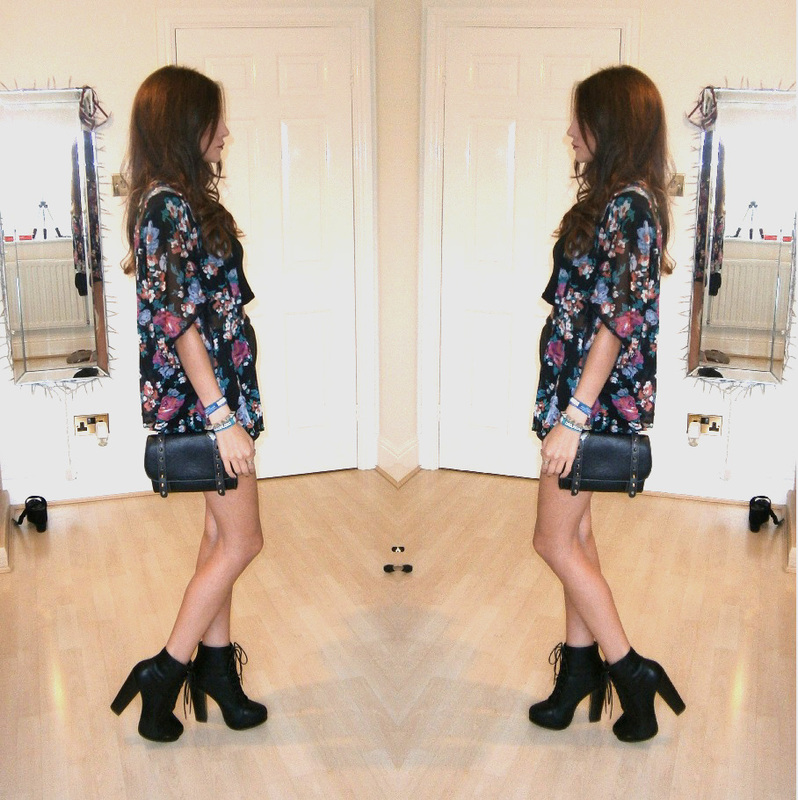 The kimono is beautttttiful and I love your boots! that kimono is so darling! i love the way you paired it with everything here! Love this outfit! I really need to get a kimono, everyone pulls them off so well! the kimono is soooo pretty. i just love the whole outfit on you. perfect for a fun night out. Your shorts are beautiful! I've been lusting after a pair like this for ages, you pull this outfit off so well! Love the prints on the kimono.